We are a society in debt. Somewhere along the line, the game changed from ‘saving towards’ to ‘paying off’, allowing us to get what we desire more quickly. We drive nice cars, give impressive gifts, and indulge in lavish vacations. But at what final cost? Captured in five easy-to-digest methods, I want to tell you the story of a man digging out of credit card debt. This is my story, and it’s not over. In three years, I have paid off over $20,000 in debt to credit card companies and other creditors. My penance is not fully paid, but I am confident my experience can benefit some other debtor out there. The nuances of credit and debt can be extremely complicated. However, many of the basics can be learned in a matter of minutes. Take the time to wrap your head around these five tactics to stop taking out more loans and dig out of credit card debt. If you’re serious about paying off your credit card debt (and you should be), paying down debt has to be the priority. It is a mistake to pay off your credit card with ‘what’s left’ after expenses. After you decide how much you can pay each month, make your credit card payment an automatic deduction from your checking account. You’ll be forced to budget around your debt-reduction priority. Many people add money to savings or continue investments while they are still deep in credit card debt. Financial strategy is ultimately up to you, but I advise against this. It comes down to interest rates. If you’re earning 5% interest on $10,000 worth of investments while simultaneously paying 15% interest on $10,000 worth of credit card debt, you’re losing money. Unless your investment has a specific purpose that necessitates immediate action, I suggest focusing on paying down credit card debt. Not all credit card debt is created equal. In order to minimize interest payments (and ultimately how long you’re in debt), concentrate on paying off debtors that are charging you the most interest. If you’ve experimented with the debt repayment calculator, you should have noticed that increasing your monthly payment begins to drastically cut your total amount of interest paid. Credit card monthly payment minimums are set slightly higher than the amount of interest charged that month, so paying them pays very little of your principal (the balance you eventually need to decrease to 0). While it may be tempting to pay off credit cards with higher balances, you should focus on the ones with higher rates that are causing you the highest expenses. Assuming you’re going to make the same payment amount either way, chopping away at the principle that is costing you a higher percentage will save you more money in the end. Look at your entire credit card statement carefully. You may see multiple interest rates being applied (some much higher than others). Often this is a result of penalty rates (from missed/late payments), overdraft advances, or cash advances. While your purchase rate may be something manageable like 8%, your penalty rate could be 20%-25%. If this is the case, some of your debt is costing you way more money than the rest. It is critical to reduce this debt first by paying more than your monthly minimum. By attacking this high-interest debt, you simultaneously reduce the amount of debt accruing interest and the aggregate (whole) interest rate you are being charged. This is a tricky one, because debt consolidation can get you in more trouble than you were. Read carefully. If you’re in debt like me, you will get a lot of mail from agencies who claim to be able to reduce your monthly payments and consolidate your debt. Avoid these. Your local financial institutions are much safer and more reputable sources of information regarding debt consolidation. Some credit cards entice borrowers with offers of 0% APR (interest) for a defined amount of time. This can allow you a respite from high % interest to attack the principal of your debt. However, make sure to read all the fine print including any balance transfer fees and the interest rate after the duration of the 0% promotion. Do your diligence and read up on some of the best credit cards from Chase and other reputable lenders. Many credit cards also offer members rewards like travel benefits and cash back. While you’re focused on debt reduction, I don’t recommend extravagant personal spending. However, if you make reimbursable charges for your work, using certain personal credit cards can generate benefits that can help you save money and pay down balances. 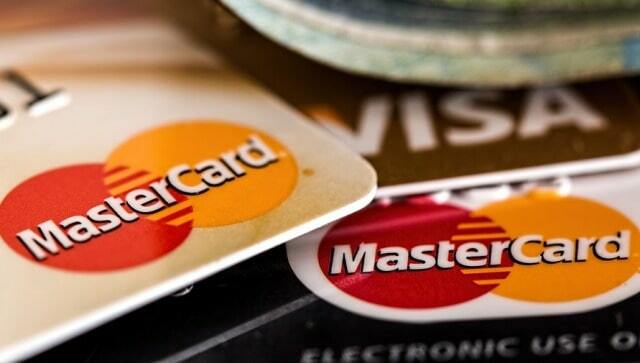 Credit card debt affects your credit score (generally for the worse). While the focus of this article is credit card debt reduction, monitoring your credit is an extremely valuable practice. While they are connected, debt and credit do not necessarily have an inverse relationship. At one time, I had a lot of credit card debt, but a pretty decent credit score because I was making my monthly minimum payments. Your credit score can more accurately be described as a measure of ‘how you handle debt’. Put another way ‘are you a good borrower’? One of the biggest credit score factors is the % of your total revolving (e.g. credit card) credit you are currently utilizing. For example, someone with $20,000 total credit and a $5,000 balance (25% utilization) looks much better to potential lenders than someone with $10,000 total credit and a $5,000 balance (50% utilization). For more information on Credit Scores check out some financial journals. There are plenty of great free credit monitoring services. When you’re focused on financial freedom, don’t use a site that charges you a monthly fee. It is easy to get a new credit card with a $10,000 limit and think of it the same way you’d think of $10,000 in your checking account. That’s a big mistake. It’s also a common error to get excited about freeing up credit and then spend it. Keep on track. You likely indulged in some luxuries above your pay grade when you were running up that credit card debt. I know I did. Now it’s time to pay the proverbial Piper. While you’re focused on reducing your debt, you won’t be able to spend the same. You'll need to cut down on frivolous shopping and entertainment expenses. Fear not, there are plenty of free and cheap distractions to keep you busy between checking your new lower credit card balances. You might need to give up your surety bonds https://bondsexpress.com/motor-vehicle-dealer-bonds/ or drive a cheaper car or shop at less expensive stores. Cut whatever you don't need. You might also have to skip or postpone some less than urgent medical visits like hearing tests at https://thehearingroom.ca/services-2/hearing-tests/ or teeth whitening treatments for example Whatever you have to do, it's a worthwhile sacrifice that furthers your financial situation. You can always do these things after you have dug your way out of credit card debt. Don’t get me wrong. I’m not saying don’t use credit cards. Credit cards can be a fantastic tool for making specific purchases as long as those purchases are within your budget to pay off. Since paying off over half of my credit card debt, I feel better. I’m more optimistic and confident about the financial future of my family. Take some advice from a Prodigal Son and stay out of credit card debt. If you do find yourself there, do your homework and start chipping away at the balance. Debt reduction can be a lot of work, but it’s always attainable with the right attitude and coaching. I hope you enjoyed this blog post about how to get out of the red with tactics to dig your way out of crippling credit card debt. Interested in more articles about improving your frugal finances?